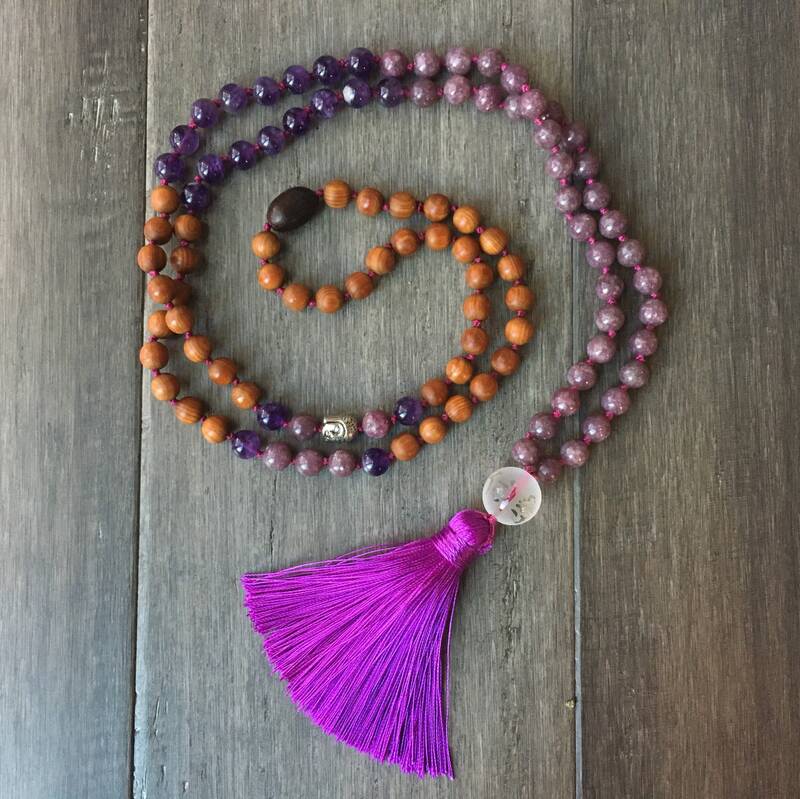 Open your Heart Chakra and bring awareness with this Pink Tourmaline Mala Necklace. 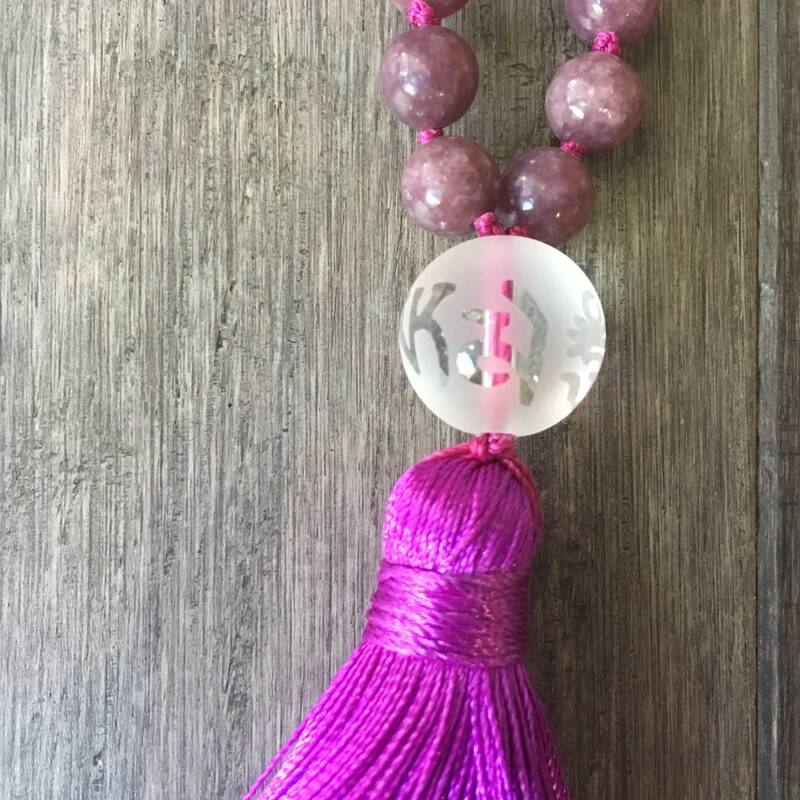 Pink Tourmaline, also called Rubellite, opens and brings a higher vibration to ones Heart Chakra. 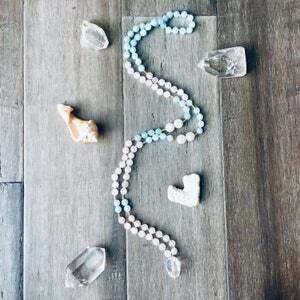 It is excellent for connecting with the Earth on an emotional level. 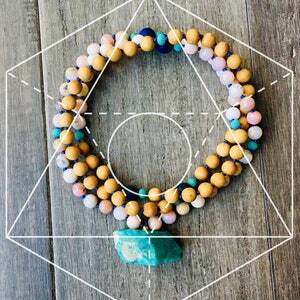 This connection illuminates the relation between the Earth and Humanity, and helps one to live a relationship/lifestyle that promotes the health of our planet. 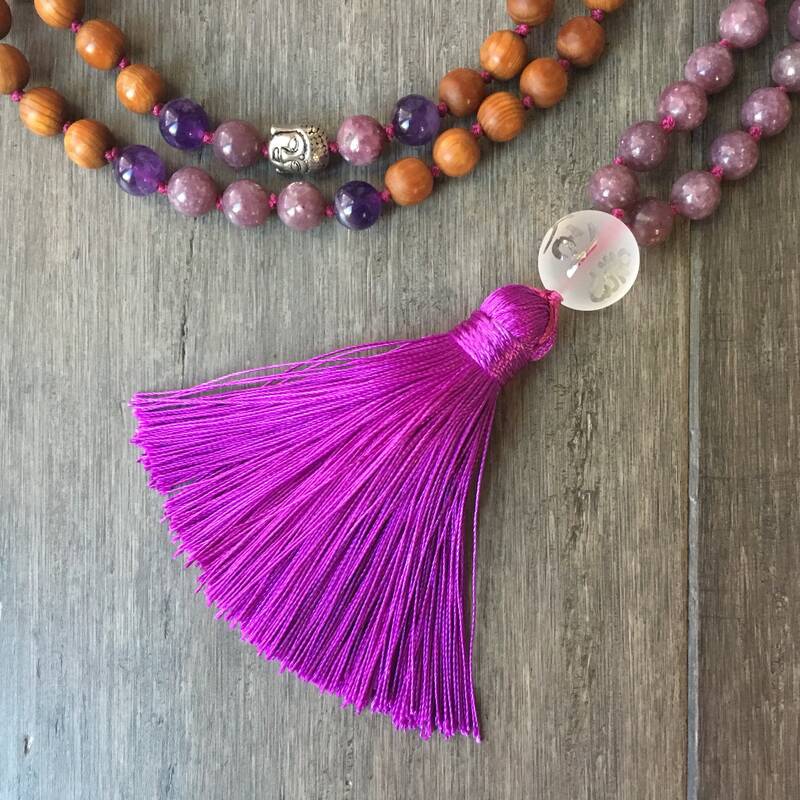 Pink Tourmaline or Rubellite is a very positive crystal, bringing cognitive awareness and helps one to experience Universal Love. 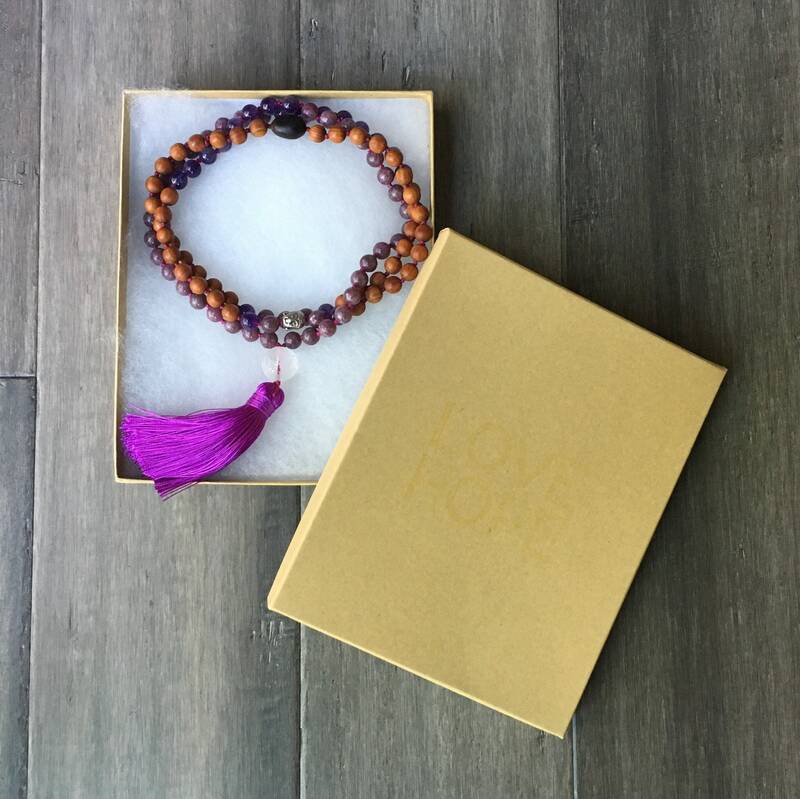 It has balancing properties which help one to move away from extremes, and into more emotional and intellectual perspectives. 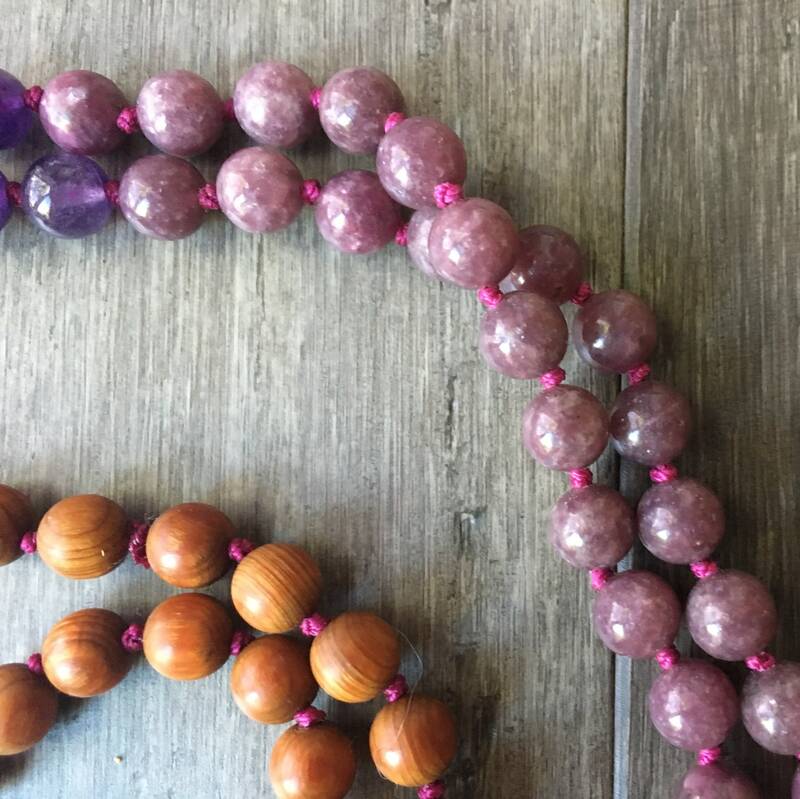 Rubellite also works with the Root Chakra, bringing strength, courage, and conviction to endeavors that are based on Love. 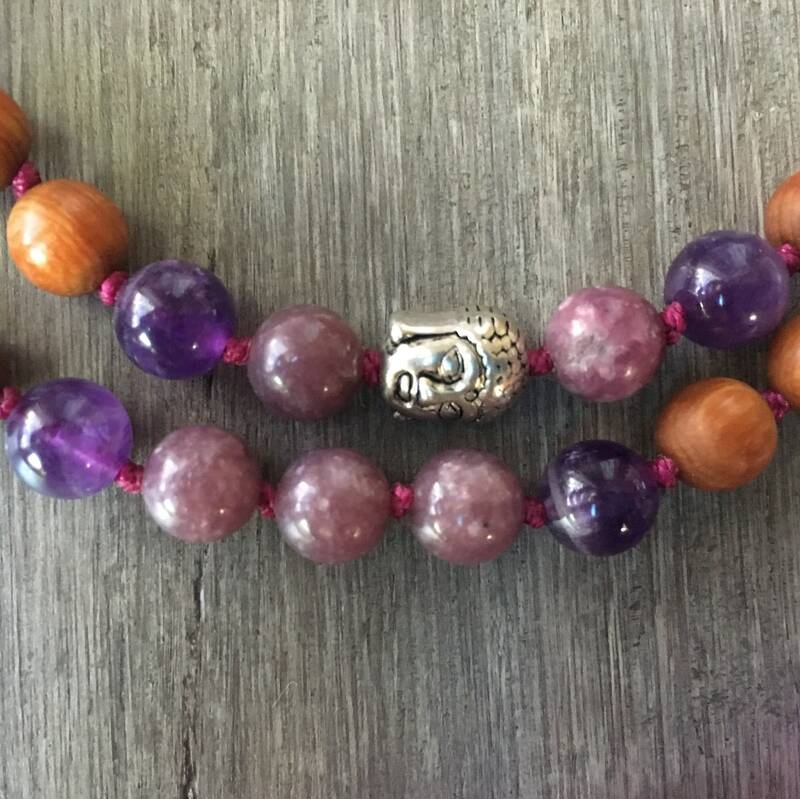 Pink Tourmaline can help bring the joy back into living. 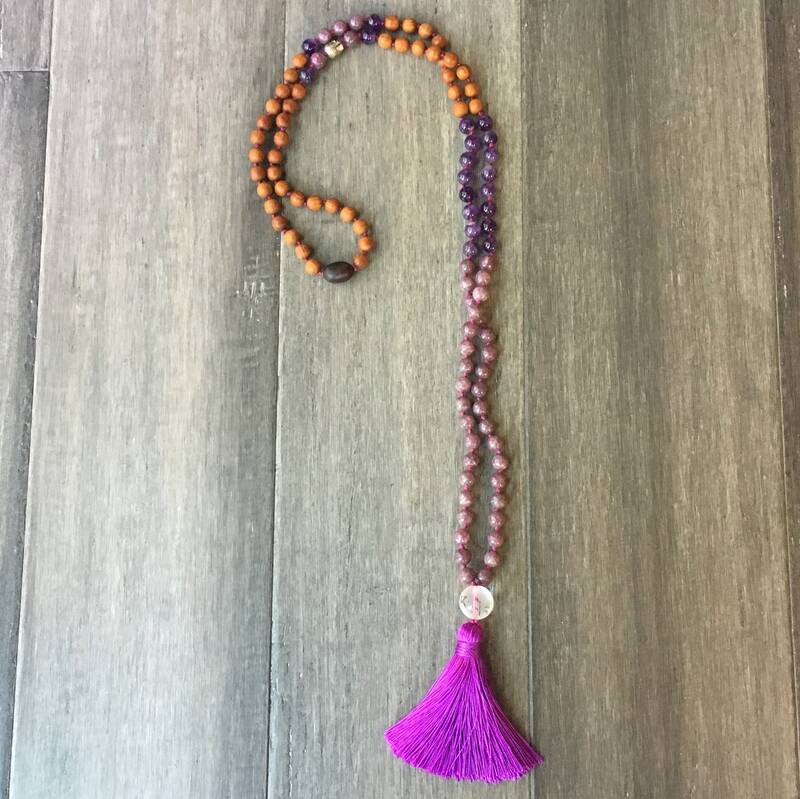 This action improves the overall circulation of energy throughout the subtle bodies and the chakras. 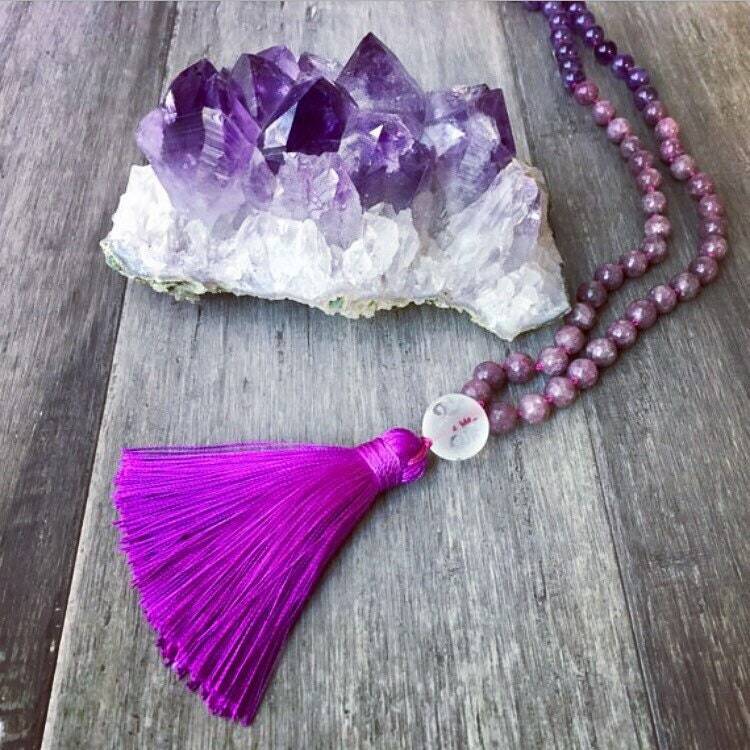 Amethyst is connected to ones Crown Chakra, and will bring harmony and restore balance in any situation. 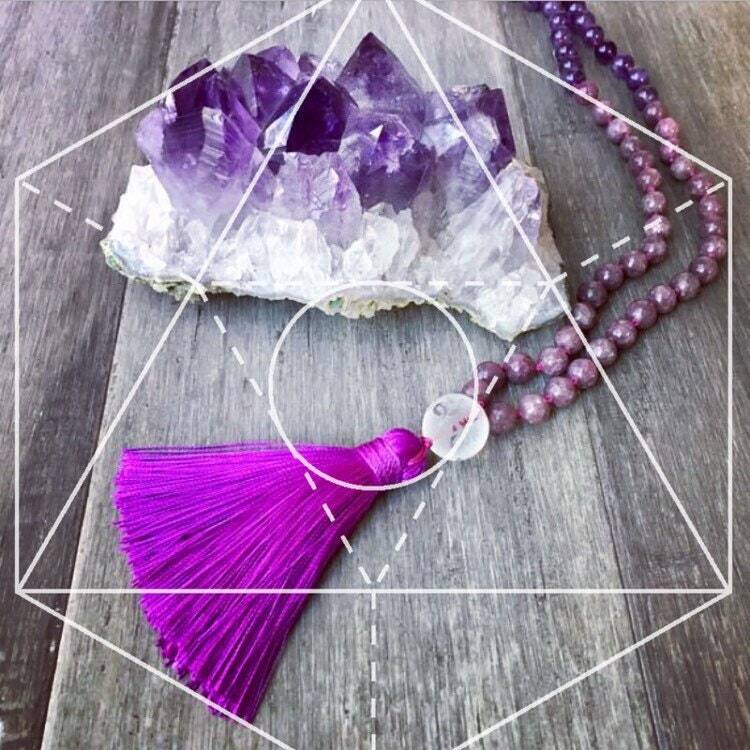 Amethyst connects you to your intuition and inner voice; your intuition knows what is best for you. 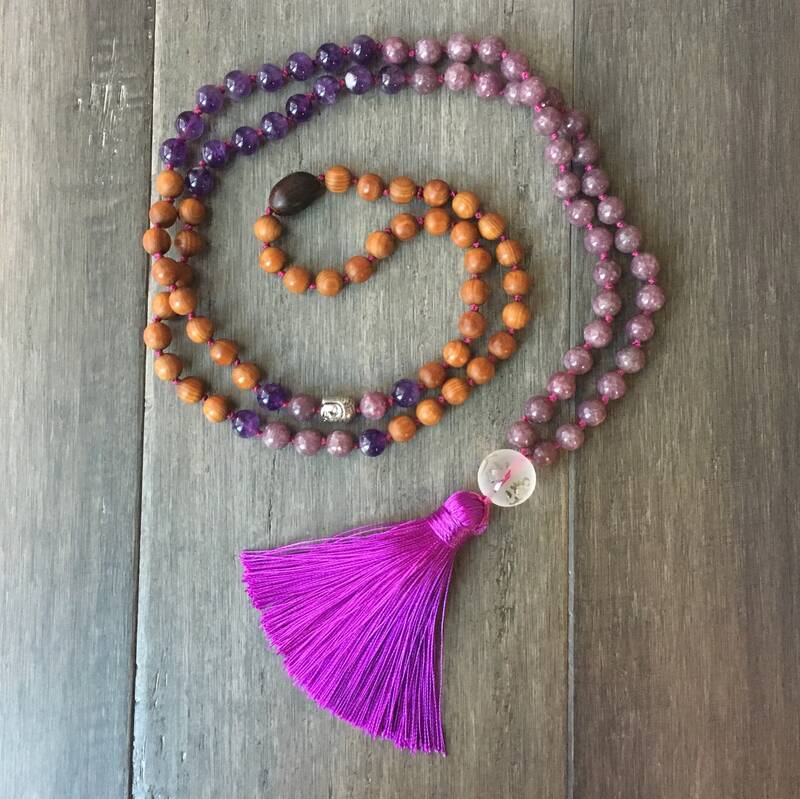 When you have a clear channel of inspiration and clarity about what is your highest good, it is much easier to bring it into your life. 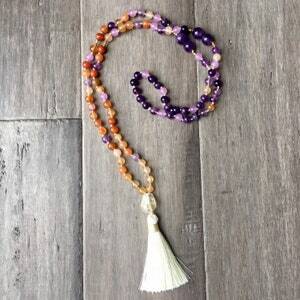 Such a wonderful Mala,beautiful combination of stones, woods and colours. 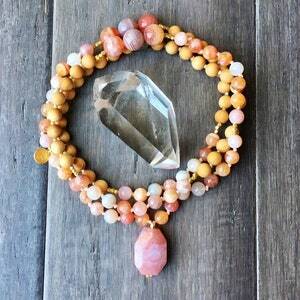 Very beautiful piece well made. Came quickly and a great price. Great value.